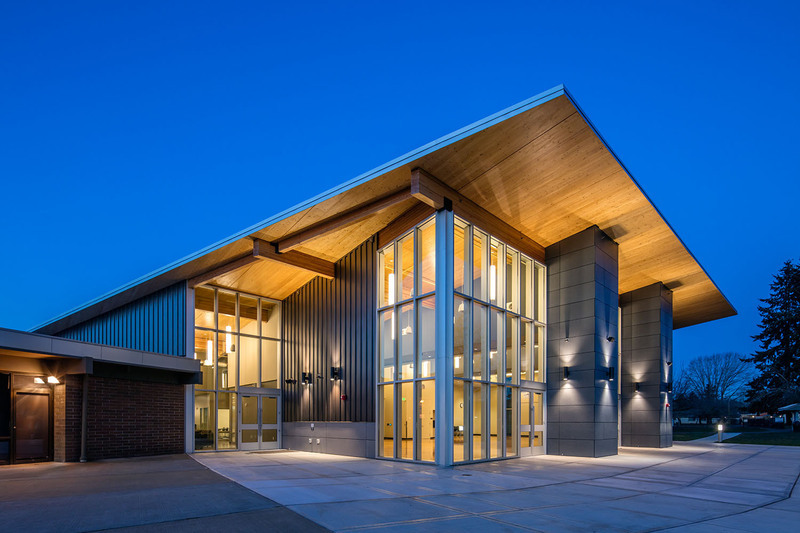 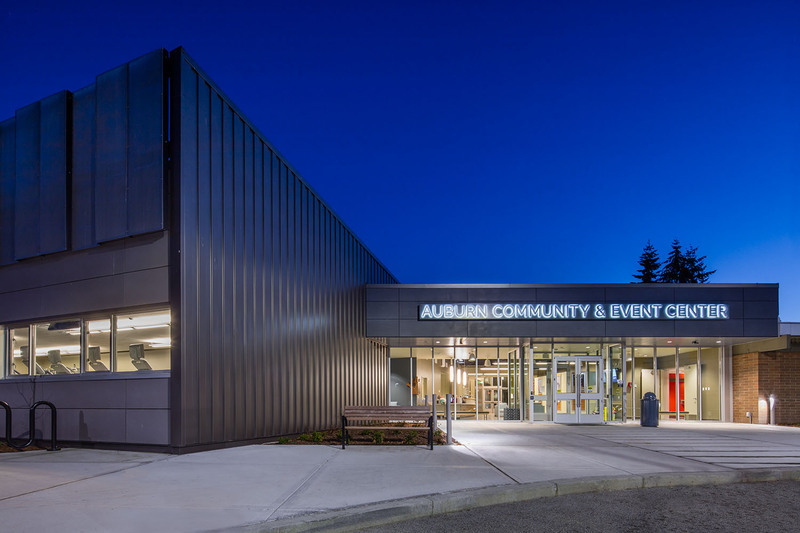 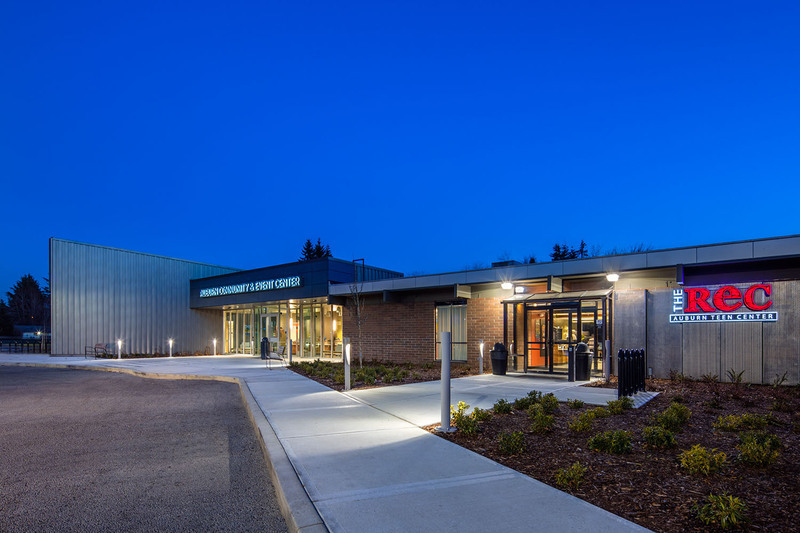 Located in the popular Les Gove Park in the center of Auburn, this Community Center is sited perfectly to expand the use of the park and connect to the existing gym and senior center. 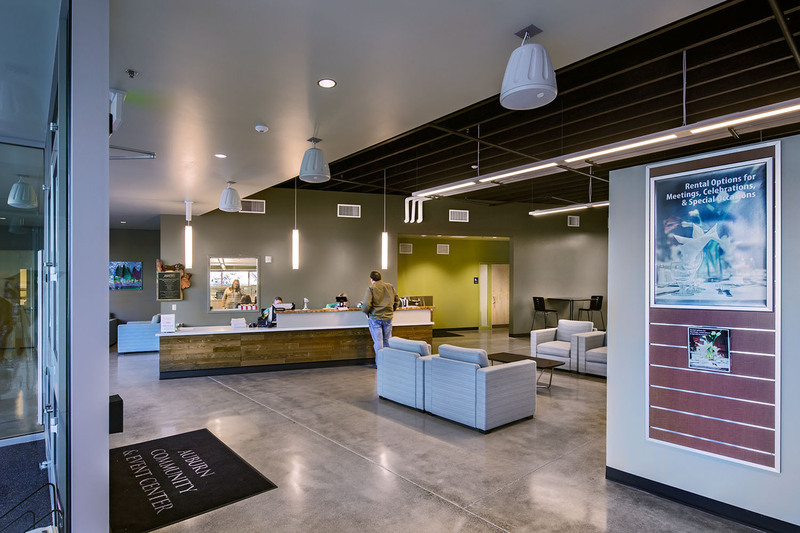 The Auburn Parks & Recreation department desired to renovate the youth center and provide new multipurpose spaces and administration offices. 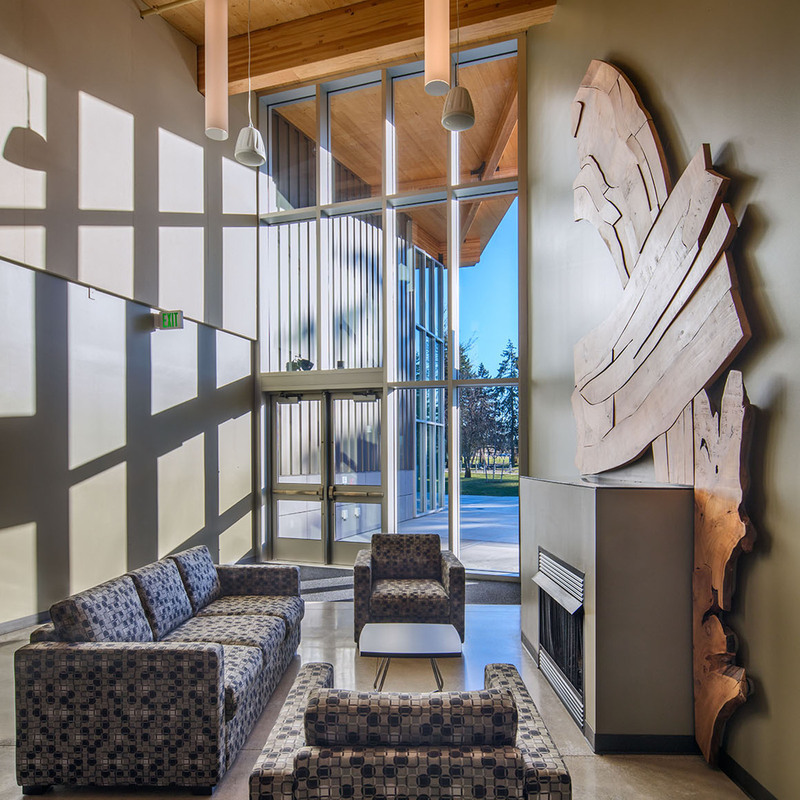 The design for the facility created two wings, with spaces for the community and separate spaces for the teens, each with their own identifiable design sensibilities. 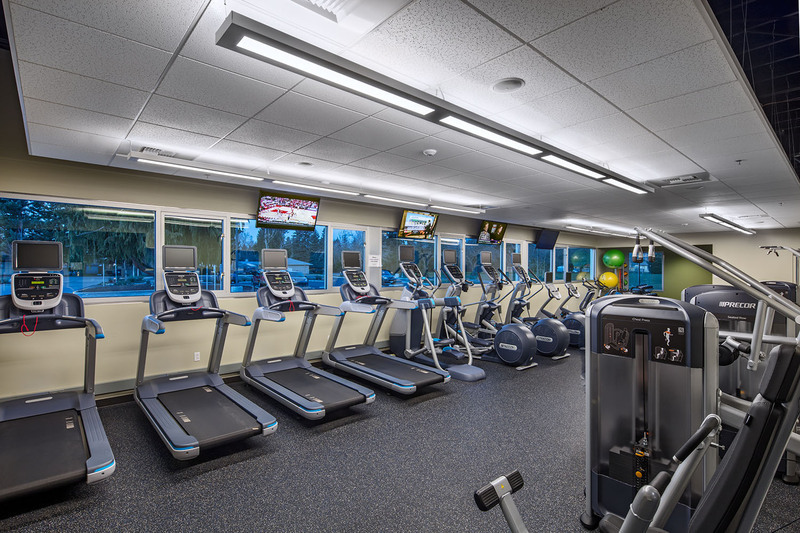 The former caters to broad, community needs like weddings, classes, fundraisers, dances, parties and aerobic activities. 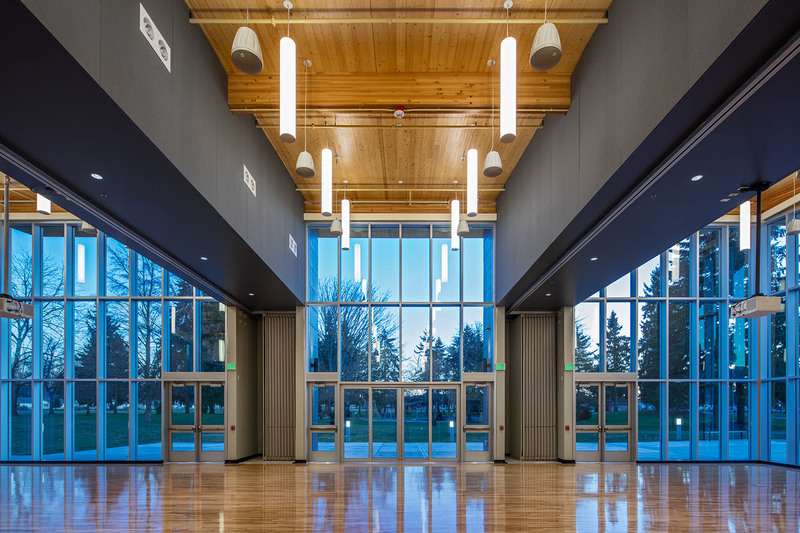 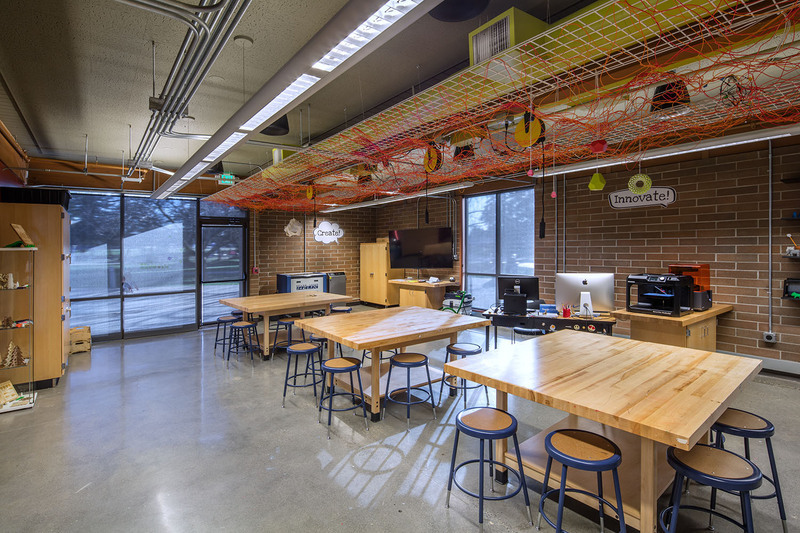 The latter is edgy, bright, and adaptable, adjacent to the existing gymnasium, with spaces catering to teens and youth that comprise the diverse communities of the area.